Penguin Canada has acquired Canadian rights to the authorized fourth book in Stieg Larsson’s best-selling Millennium series, which is slated for publication in more than 35 countries Aug. 27, including in the U.S. by Knopf. Written by Swedish crime writer David Lagercrantz, What Doesn’t Kill Us will receive a different title for North America, as was the case with the first and third books in the series (The Girl with the Dragon Tattoo and The Girl Who Kicked the Hornets’ Nest). Peter Mendelsund, designer of the previous Millennium book covers, will design the jacket. 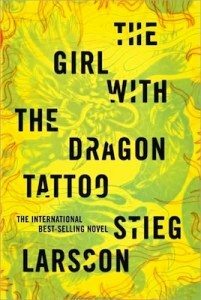 The 500-page book will feature familiar characters Mikael Blomkvist, Lisbeth Salander, Erika Berger, Jan Bublanski, and Sonja Modig but will also introduce new characters, including a Swedish professor of computer science and several “high profile Americans,” one of them an NSA security manager. We are thrilled to welcome the return of Lisbeth and Mikael to Larsson’s millions of readers in Canada. This masterful trilogy was a true publishing phenomenon and to be able to continue with the addition of a hugely talented writer, and the blessing of the Larsson estate, is immensely exciting as both a publisher and fan.